Accident Free, 1-Owner, Unlimited Km Warranty, Cargo Tray, Power Seat, Leather, Blind Spot Monitors, Rear Cross Traffic Alert, Lane Departure Warning, High Beam Control, Smart City Brake Support, Adaptive Front Lighting System with Auto Levelling, SiriusXM Ready, i-ELOOP Regenerative Braking System, Auto Dimming Rearview Mirror, Homelink Garage Door Opener, 18" Alloy Rims, Automatic Bi-Xenon HID Headlightings, LED Rear Tail Lights, Advance Keyless Entry, Push Button Start, Touch Screen, Back Up Camera, Voice Activated Navigation, Bose Premium Sound System(9 Speakers), Heads Up Display, Dual Zone Automatic Climate Control, Bluetooth, Bluetooth Audio, 2 USB, Heated Seats, Rain Sensing Wipers, Sunroof, Fog Lights, Tinted Windows, Remote Starter, and much more! 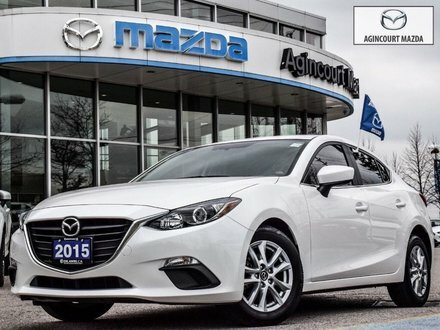 The Snowflake White Pearl Mazda3 GT with the Luxury & Technology Package you've been looking for has arrived here at Agincourt Mazda. 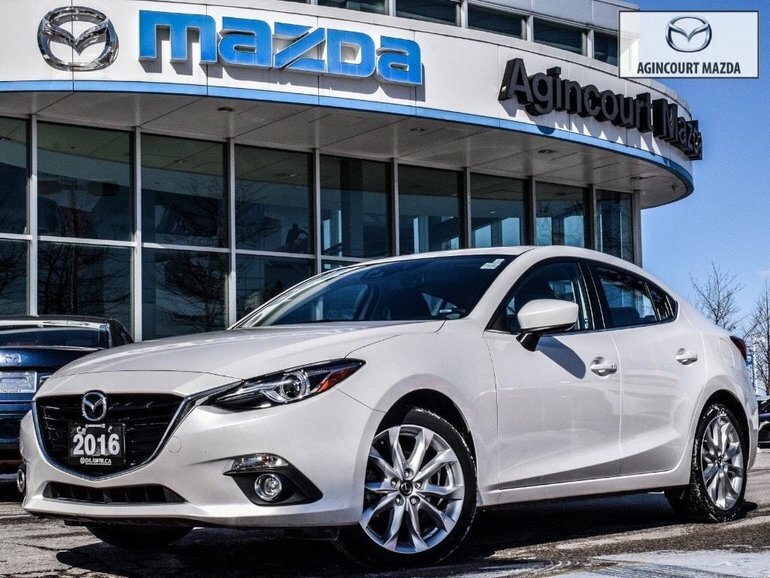 Loaded with more than enough for you to enjoy your drive and ownership and offers all the benefits you look for in a vehicle purchase from the Peace of Mind with the Safety & Technology Features/Unlimited Km Warranty & Japanese Reliability, LOW FINANCE PAYMENTS, Great Colour Combo with the Snowflake White Pearl Exterior on Black Leather Interior, and much more! 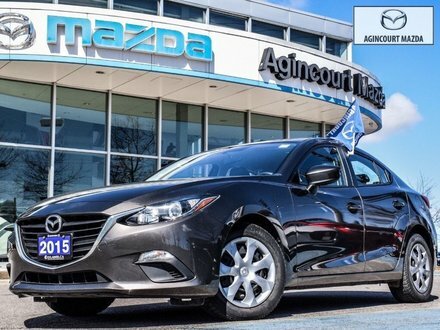 Visit our showroom to SEE AND FEEL this beautiful Mazda3 GT with the Luxury & Technology Package in person and TAKE ADVANTAGE OF OUR FREE ON-SITE PROFESSIONAL APPRAISAL SERVICES WE OFFER HERE AT AGINCOURT MAZDA. WE ACCEPT ALL MAKE AND MODEL TRADE IN VEHICLES. JUST WANT TO SELL YOUR CAR?WE BUY EVERYTHING! Safety Certified Vehicles offer you peace of mind with the following - Multi Detailed Inspection completed by our Master Technician - 7 Day/500-Kilometer Exchange Policy- 30-Day/2,000-Kilometer Comprehensive Coverage - 90-Day/5,000-Kilometer Powertrain Coverage- CarProof® Vehicle History Report- Zero Deductible Available - Extended Warranty/Coverage Transferable*Warranty calculated from the in service date We have been serving Scarborough, Markham, Richmond Hill, Toronto, Ajax, Pickering, Oshawa, Mississauga, Brampton, Oakville,, Milton, Burlington, Hamilton, Guelph, Kitchener, Waterloo, Cambridge, and Windsor, since 1996. No hidden costs or fees. Safety Certification included. 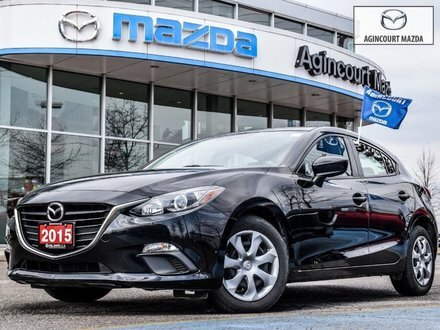 At Agincourt Mazda a full disclosure CarProof® is no mystery to us. All our vehicles go through rigorous safety inspections. 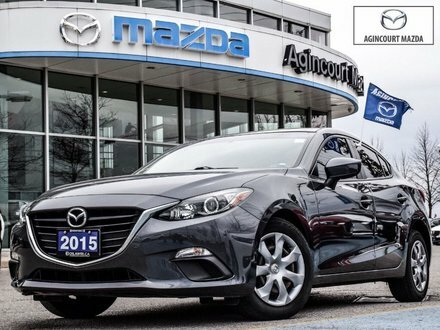 Hurry in for a personalised test drive before it’s too late.